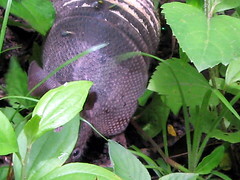 In Nicaragua, the armadillo is commonly hunted and prepared in a sumptuous dish, mostly in the rural areas of the country. In my travels, I have heard this animal referred to as cusuco, pitero, canchuncho, armado and, of course, armadillo. 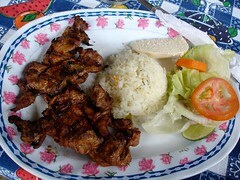 I ate canchuncho once...tastes like a cross between chicken and pork, IMHO. More about el canchuncho....click here.